Meatball Subs are so much better with this simple hack and everyone will thank you for less mess. 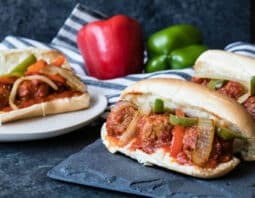 What’s better than meatballs with marinara sauce and melted cheese on toasted French bread topped with sautéed onions and bell peppers? Not much if you ask me and, more importantly, my family. Classic meatball subs are a popular sandwich on many Italian restaurant menus but how often do we dismiss it in favor of other dishes? I know I never order a meatball sub because I worry it’s going to be delivered to me with soggy bread or it’ll fall apart while I eat it. Plus, it seems so simple. “I could just make this at home!” But I never did. Now I do, ever since I discovered a simple hack to make meatball subs more delicious than ever, and stay intact. 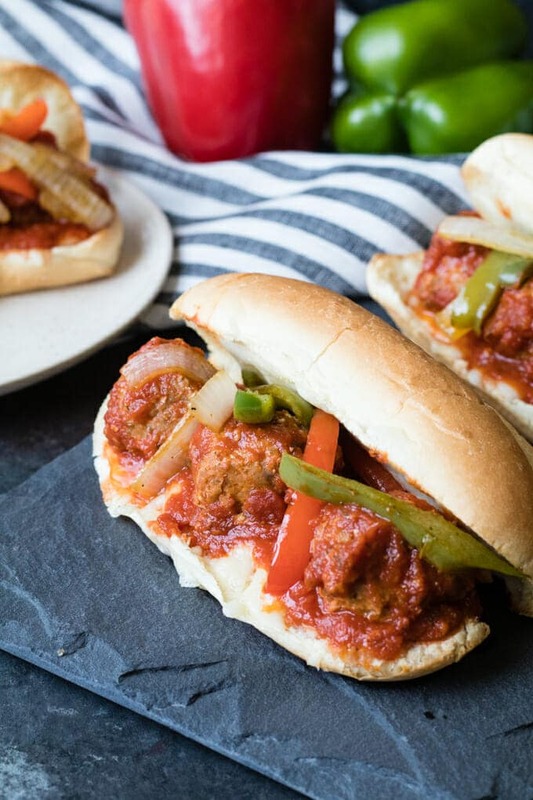 The first thing to know about a good meatball sub is to start with a good meatball that has the perfect combination of seasonings so I’m sharing our family recipe with you. And about that hack I promised. It’s so simple but makes a world of difference: layer approximately 1 ounce of mozzarella cheese on the French bread you will use for the sandwich and broil it in the oven for 1-2 minutes before serving. This small step before layering the meatballs on the sub not only prevents your sandwich from getting soggy so fast (the melted cheese adds a protective layer), it also helps the meatballs and other ingredients stick and stay in place, AND it adds another layer of flavor to the sandwich. Make sure you serve immediately. Preheat oven to 350°F. In a large bowl whisk breadcrumbs, eggs and milk together. Add in ground turkey, sausage and onion and mix together with clean hands. 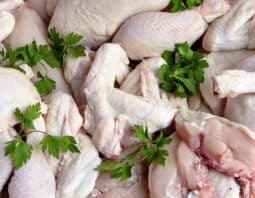 Make a well in the center of the meat mixture and add in ketchup, Dijon, Worcestershire, Italian seasoning, salt and pepper and incorporate well with clean hands. Spray a baking sheet with cooking spray. 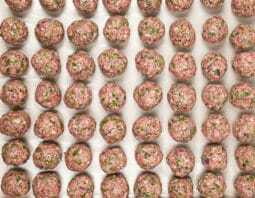 Roll meat into balls (2 tablespoon-sized balls). 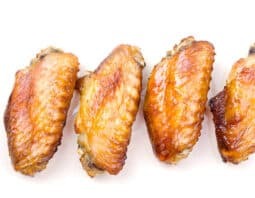 Bake in the oven for 10 minutes on each side or until they reach an internal temperature of 165°F. 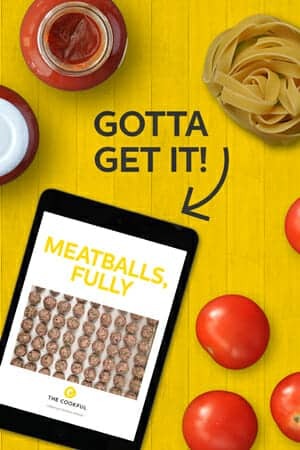 In a large bowl, mix meatballs together with marinara sauce. Heat olive oil on stove over medium heat in a frying pan and sauté onions and bell peppers for approximately 10 minutes. On each roll, sprinkle a thin layer of cheese on the bottom then layer a few meatballs on bread and top the sandwich with onions, bell peppers and additional cheese. Enjoy immediately. 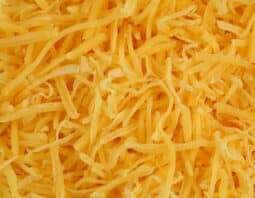 To prevent soggy bread you can toast the bread with cheese on it in the oven on broil for 1-2 minutes to get it nice and warm with melted cheese.